American Author Bill Bryson writes some very quirky books and A Walk in the Woods, first published in the UK in 1997, is no different. This story recounts Bill’s attempt to hike the Appalachian Trail widely known as the world’s longest footpath (2190 miles/3524km) and can best be considered as a mid life crisis adventure. Now a word of warning here; I watched the movie before I read the book and if I had a do-over I would reverse this order. While I greatly enjoyed both the book and the movie, the movie is a romanticised version of the adventure, complete with 78 year old Robert Redford playing 44 year old Bryson! By reading the book first you don’t have any preconceived ideas about the main characters or the environment they are travelling through. Movies often rely on visual cues to get the message across but this book fleshes out the details in just the right places to add an extra layer of humour. A good example of this is the scene early on in the movie where Bryson visits the outdoor store to get kitted out. This section of the book is just so much more funnier in print, but maybe that’s just me. There are a number of other key scenes in the movie that also translate so much better in the book. The book also has a degree of crudity in it that would have probably changed the censorship rating as it translated to the movie but just goes to make this a funny read. A Walk in the Woods also provides bit of social commentry that does go on a bit at times. My background is in horticulture and I was totally unaware until I read this book of the devastation of the American Chestnut in the first half of the 19th Century by Chestnut Blight that had a massive impact on the make up of the ecosystem in that part of the USA. 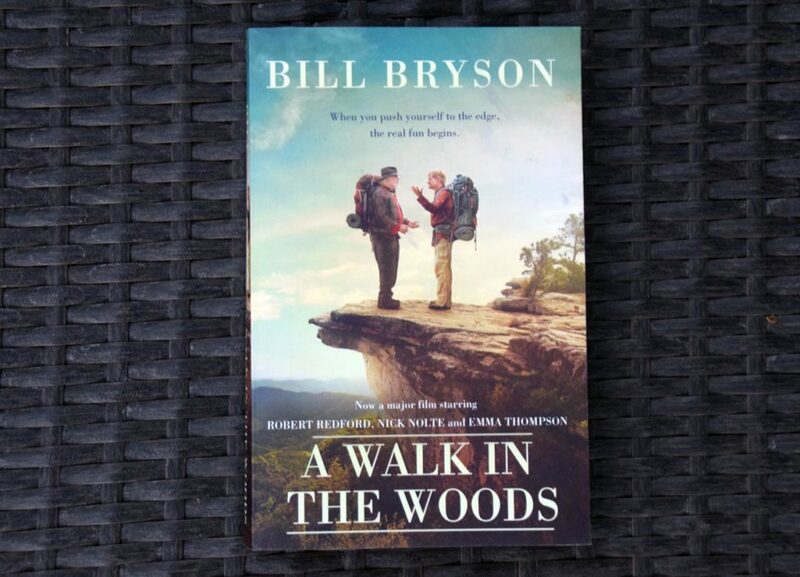 This is not a book for those trying to get detailed information on the Appalachian Trail but rather for those wanting a light read with a good deal of humour, much of it at Bryson’s own expense.